Tokyo Fantasy have been running hot on the London scene as of late with a bunch of no fuss throwdowns at The Cause in Tottenham. Having established parties across almost a decade in Dublin, Bristol and London, their new venture has seen the likes of Roman K, Tornado Wallace and Secretsundaze favourite Carista through their doors. 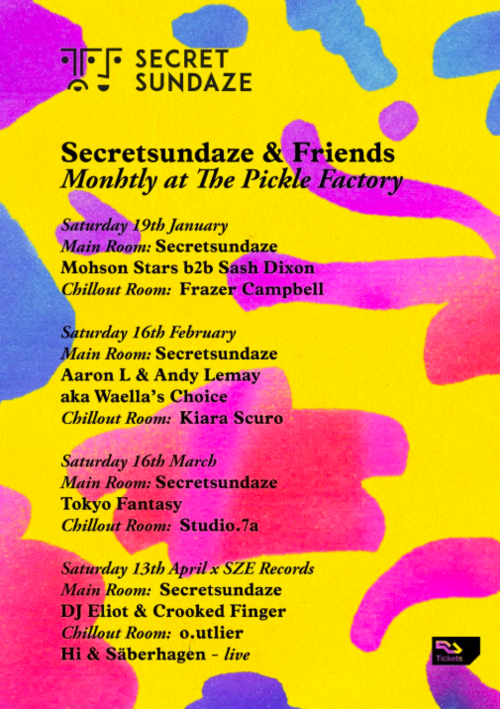 After witnessing how they curate a party, we knew we had to get them down to warm things up for us at this edition of Secretsundaze & Friends. In the chillout room we have Netil Radio residents & good guys behind Studio.7a playing some music for us which is sure to be interesting. They’ve collaborated with Tokyo Fantasy on their parties in Tottenham and are also exciting tastemakers - well equipped to create something special on the night.